The Mid-Hudson Valley Growers Network started in 2002 with just a handful of members. 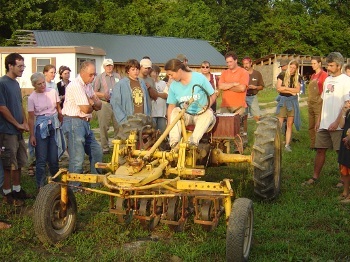 Since then, it's grown to include farmers and apprentices from more than 20 farms in the area. The MHVG network organizes potlucks, farm tours, and has an online forum that members use for everything from advice on onion thrips to arranging bulk orders of potting mix. Sound good? Learn about how the network got started, what it takes to keep the network going, and why it's good for farmers by reading this short profile of the Mid-Hudson Valley Growers Network.